The new shuttle will stop at all blue-signed bus stops on the Lower/Arrivals Level in the Central Terminal Area. In addition to serving the South Employee Lot, the bus will stop at Bays 11 and 12 at the LAX City Bus Center. From the bus center, guests can take a short walk to reach the Cell Phone Waiting Lot. The bus center and cell phone lot were formerly served by the Lot C Shuttle. Parking Lot C will close to the public on Monday, April 1, and that bus route will be disconinued, necessitating the change. LAX opened the new Economy Lot E at 5455 W. 111th St., between La Cienega and Aviation boulevards on Thursday, March 28. 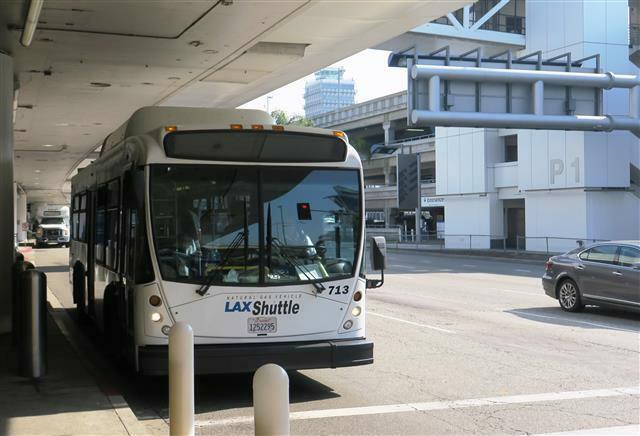 In addition to the new route, LAX is changing the shuttle line that serves the Remote Rental Car Depot starting Monday, April 1. Guests who are being met by rental car shuttles at the depot should use the Lot E Shuttle to reach the pick-up location on Century Boulevard. Previously, guests used the G-Green Line Shuttle to reach the depot.